While it may be a bit of an investment at around $150.00, a deli-style meat slicer is a money saver. 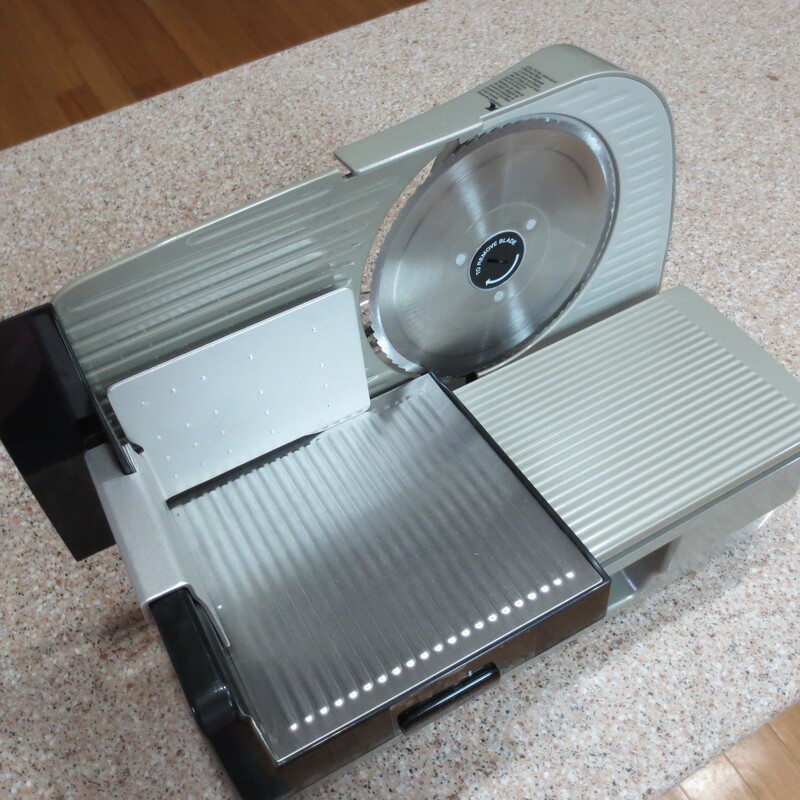 Large roasts can often be a bargain on sale, and with this slicer you can enjoy sliced sandwich meats at a fraction of the cost of the deli product. The drawback? This machine can be dangerous! Do not allow children anywhere near it, and use extreme caution when cleaning. I ordered a pair of butcher’s gloves online to handle the task.